Born and raised in Israel, Avi Galanti came to the United States in 1997 after 4.5 years of active duty in the Israel Defense Forces. An entrepreneur at heart, Avi started a marketing consulting firm in 2001 located in San Francisco, CA. Avi got involved in real estate in 2004 and moved his real estate expertise to Bethesda, MD in 2005. 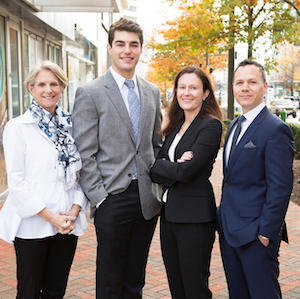 Avi has personally helped hundreds of clients buy or sell properties and exceeded over $300M in sales volume across Bethesda, Chevy Chase, Potomac, and NW DC. Avi consistently applies marketing techniques that are highly effective, utilizes cutting-edge technology and draws upon his deep network of professionals and colleagues. This means sellers and buyers can expect the highest level of professionalism, dedication, expert advice and service from the Avi Galanti Group. Avi currently serves as a board member of the Israeli-American DC Council and is a former Co-chair of the Real Estate Committee at the Bethesda-Chevy Chase Chamber of Commerce. Until recently, Avi served as President of the Board of Rebuilding Together Montgomery County, a local non-profit that is dedicated to helping low-income homeowners maintain healthy and safe homes. Avi is married to Karen, a talented freelance graphic designer, and father to 3 amazing kids: Ella, Maya, and Leo. Everyone in the Galanti household is a Tae Kwon Do Black Belt, except for Avi.